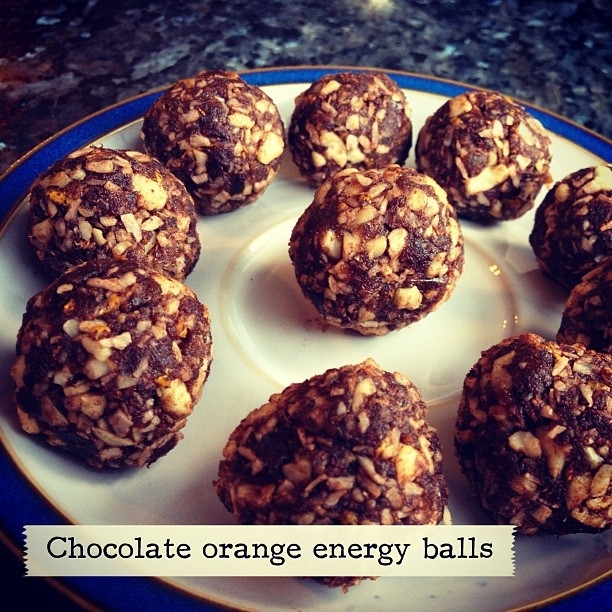 Delicious energy balls packed with superfoods! the zest of an orange. Simply blend the ingredients together and form into balls!